Minoan Art Was Characterised By Naturalistic Spondaneity, Lack Of Standardisation, Freedom Of Movement, And a Sense Of Life. 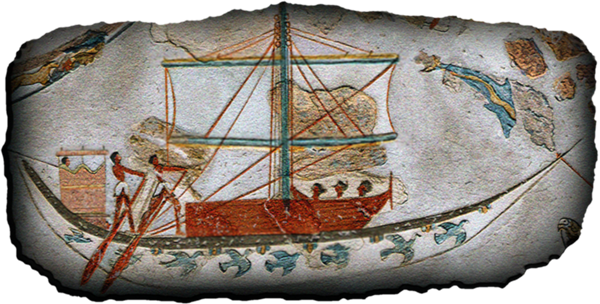 Many scenes of the film were inspired by the high aesthetic value frescos of the Aegean - Minoan art. A documentary film that presents a 20 years' effort to organize a lot of indications about ancient ocean explorative voyages under a logical procedure, rejecting excesses and expediencies. "At the end of the Minoan Civilization, some of the best Aegean sailors were sent to find the Gate of the Sun, on the other side of the wild ocean". Studying the technology of the most representative astronomical and naval instruments, of the ancient and medieval world, we were given the opportunity for a deeper tracing of the human willing to expand to the sea. 14 Ancient Greek Texts describe a continent on the other side of the Atlantic. These texts were written from the most known figures of the Ancient world. 3. It was a memory from the bronze age navigators. It has been a 20years effort researching ancient texts, maps, visiting libraries, archeological sites, discussing with different kind of specialists (archeologists, traditional shipbuilders, sailors with experience in ocean voyages and ocean weather conditions). Sailing with sv AGIA IRINI was a great experience, that gave the opportunity to feel the spirit of the ancient Aegean sailors and write the story of the film. 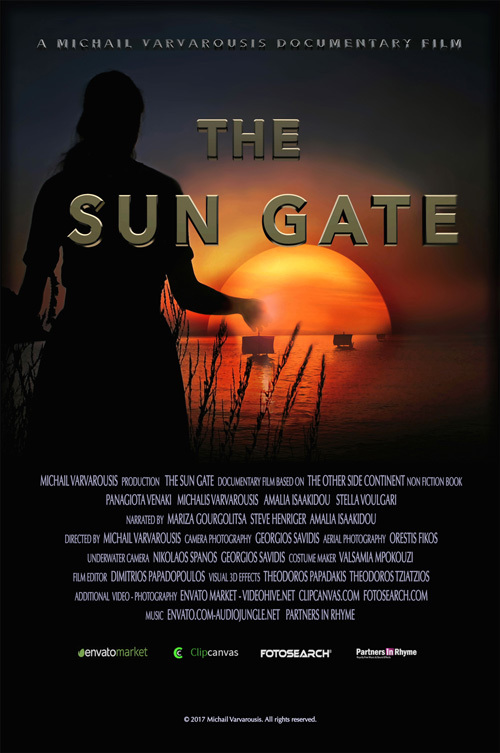 In the film there are scenes of Ancient Aegean Sailors who were sent to find the “Gate of the Sun”. A mythical passage to the underworld on the other side of the ocean. It is worth mentioning that many ordinary young people put their passion and artistry helping to create this film. The depictions of the ancient ships in the island of Thera gave the opportunity to understand many details of the Bronze Age navigation. The richness of the decorations prove the validity of ancient texts which describe the Minoans as masters of the seas at the peak period of their civilisation. 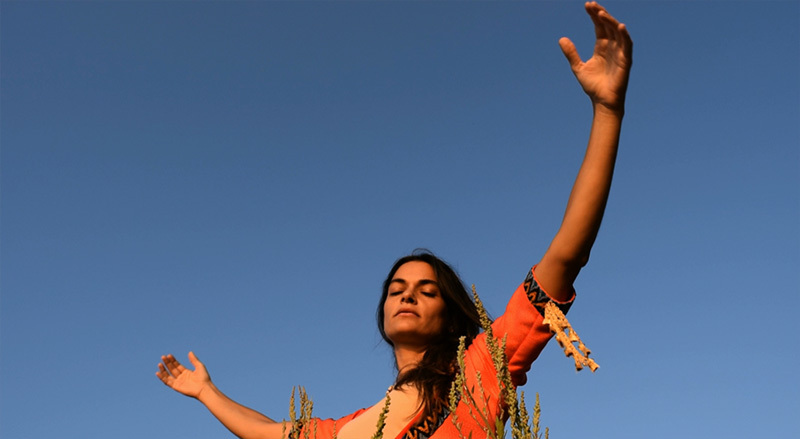 The Minoan language in the historical reference of the film is a creation based on an effort to approach a primitive Hellenic (Greek) dialect at the end of the Bronze Age. The expiramental reconstraction of the Piri Reis map, is part of a larger effort to analyse ancient maps relative to the theory of the Other Side Continent. Depictions found in many Aegean Islands showed that the ship was the main core around which a sophisticated society flourished. 3D Model of the Aegean - Cycladic ship built for the needs of the film.